The actor reigns on the cover of Filmfare's latest edition. 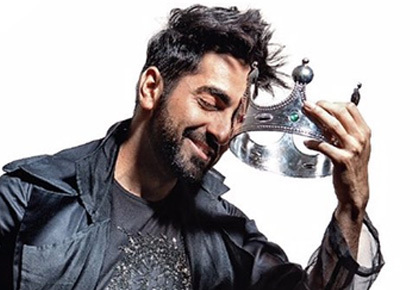 Meet the 'man of the moment' Ayushmann Khurrana. Looking stylishly chic in black and silver separates, the actor wows on the cover of Filmfare's November edition. Sporting a casual avatar, Ayushmann cuts an impressive figure in a sequinned T-shirt, paired with a sheer trench coat, metallic pants and leather boots. 'Man of the moment! Presenting the king of all things cool, Ayushmann ur latest cover,' wrote the mag as they unveiled the cover. 'The Man with the Midas Touch,' stylist Isha Bhasali wrote on Instagram. The cover was shot by Errikos Andreou.